Why is it Important to Maintain Your Staircase? Your staircase is a vital part of your home and therefore, it’s important to keep it maintained for various reasons - safety understandably being the most important. Whether you need to replace steps or invest in new staircase parts, any problems need to be fixed before further damage is caused. 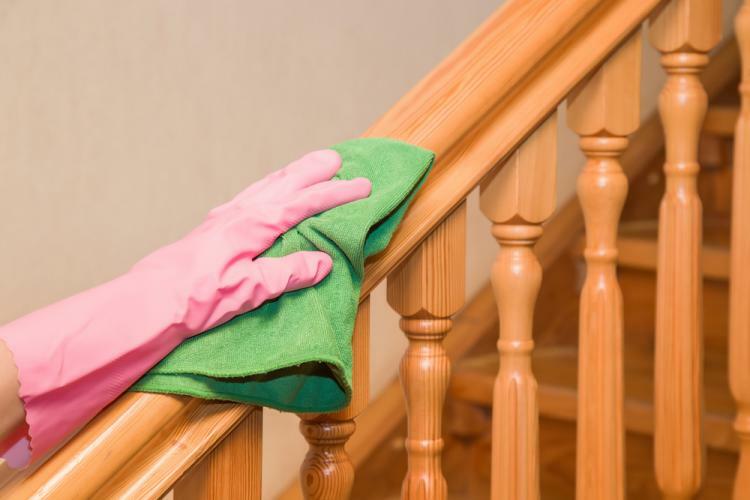 There are many reasons why it's essential to maintain your staircase, but it’s not something that many people tend to think about. So, here are some reasons why you should consider taking more care of your stairs. The stairs in your home are used by everyone, including children, so it’s important that they are safe enough for the kids to go up and down. Tripping or falling down the stairs can result in injury, so it's vital to make sure that you are aware of the potential dangers that neglecting your stairs can cause. However, it’s not just children that need to feel safe. Adults should also be able to use the staircase with peace of mind, knowing they are safe. It doesn’t have to be a big issue to cause safety concerns - even the smallest parts can cause a problem. For instance, one loose screw may cause the entire handrail to wobble, so you should make sure to fix even the smallest problems before they can cause any further damage. Your staircase allows you access to other floors in your home and while that seems obvious, it’s something that is often taken for granted. If not properly maintained, damage could potentially result in the stairs being too unsafe to use at all. While this is only the result of the most extreme cases of neglect, even the smallest issues really can make a difference. A small crack in a wooden step can mean that the stairs are unsafe to use and while you may be able to use them for now, if the problem remains unfixed it will only get worse. One of the first things most people will see when they walk into your house is the staircase, so it’s important to ensure it looks good and works well with the rest of the house in order to keep the theme consistent. The last thing you want is for the stairs to look unsightly compared to other rooms in your home and while it might not be a particularly big difference, it will probably still be noticeable. If the paint is wearing a little thin and the carpet looks as though it has seen better days, it could give the impression that you’re not very house proud and don’t care about the appearance of your stairs. Of course, this is wrong because you want your home to reflect you as a person. While the look isn’t everything, it is still an important factor to consider. Many staircase issues can be easily solved just by swapping the old for the new, but first, you need to make the decision as to what actually needs to be done. Don’t let your stairs become unsafe for you and your family; fix any problems as they appear. If your staircase has seen better days, now is the perfect time to browse our range of staircase parts to find exactly what it is you are looking for.